2) At EPCOT, head to the back of the park. 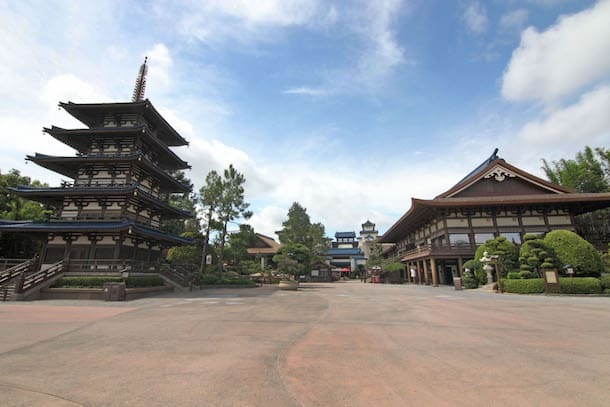 At EPCOT, the park is divided into two main sections—Future World and the World Showcase. Future World almost always opens before World Showcase, as the showcase doesn’t open until 11:00 a.m. Because of this, most Guests begin their EPCOT visit in Future World and end their day at World Showcase. But if you’re arriving at EPCOT at or after 11:00 a.m., make a beeline for the rear of the park—the World Show0case. Take a tour of 11 different countries from around the world and then head back to Future World in the early evening—when many Guests are visiting the Showcase. You can walk back to the World Showcase around 8:45 p.m. to find a spot from which to watch Illuminations: Reflections of Earth—EPCOT’s nighttime spectacular.